Tailored to your experience your Forklift Training will be conducted over a maximum of 2 days including both practical and theory training. The small class size of our forklift licence course ensures that students receive maximum time driving the forklift in our simulated warehouse. A workbook is completed at home prior to the forklift licence course. Further theory is conducted in the class. An optional extra theory session is available to those who feel they may need it, free of charge. WHY CHOOSE START TRAINING FOR YOUR FORKLIFT LICENCE MELBOURNE? A friendly and relaxed environment where students of all forklift training experiences and backgrounds can train comfortably and with confidence. Our Trainers are dedicated to ensure you meet all your forklift training requirements. On successful completion of this Forklift Licence Melbourne course you will receive a Statement of Attainment; TLILIC2001 Licence to operate a forklift truck issued by Start Training, and a temporary WorkSafe Forklift Licence; Licence to Perform High Risk Work – LF. This temporary licence needs to be submitted to Australia Post within 60 days of completion of course, along with a fee of $60 to WorkSafe Victoria. You will then be sent the five year licence. Start Training also provides onsite forklift training where our trainers come to you in all areas of Melbourne and regional Victoria, saving you time and money. We can design a forklift training program around your requirements which can include beginner training, refresher courses or verification of competencies to ensure your licensed operators are driving safely. Contact us now to discuss you company’s requirements on (03) 9756 0244. Follow the steps below to book your course online. If you have any problems with the online booking portal please give one of our Training Consultants a call on (03) 9756 0244. Tailored to your experience your Forklift Licence Course will be conducted over a maximum of 2 days including both practical and theory training. The small class size of our Forklift Licence Course ensures that students receive maximum time driving the forklift in our simulated warehouse. At the conclusion of your Forklift Training Course you will be issued with a Notice of Assessment (NOA) that acts as a temporary forklift licence while WorkSafe Victoria process your final Forklift Licence card. Book online now or call (03) 9756 0244 to talk to a Training Consultant and book your Forklift Licence Course with Melbournes Top Rated Forklift Training Organisation. Forklift licence course is perfect. Practical and theory was enough to get you going. Definitely recommended. Awesome place to do tickets. Was very impressed. I’d have no hesitation going back if I require more tickets. Really good experience.Great trainers, helpful especially Brad W. I would recommend anyone looking at getting their HRW licences to give them a call. Dean and Brad were great. Very knowledgeable and also good fun. Definitely recommend “Start Training” for your RTO. Great job guys. Great staff, dad jokes galore, great teaching techniques. Easy and problem free process from start to finish. Really friendly trainer and he knows all about what he was teaching. Going to get my Boom ticket from Start Training asweel. Highly recommended. Great learning experience. Very friendly, knowledgeable and experienced instructors/ teachers. Where do Start Training conduct Forklift Training? 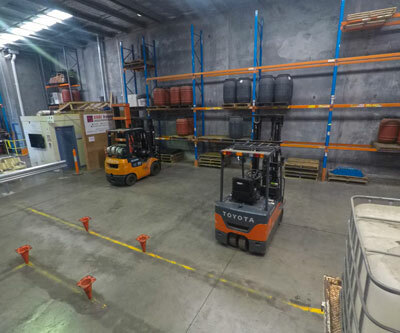 We conduct all Forklift Training at our primary facility is located at Unit 3, 1825 Ferntree Gully Road, VIC. You can find our building behind Burdens Plumbtec (the large blue building). 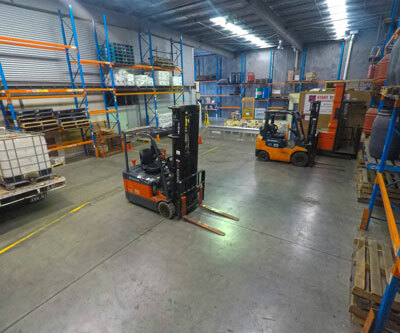 We conduct Forklift, Order Picker, Working at Heights, Elevated Work Platform and White Card courses at our Ferntree Gully facility. We have a student kitchen / cafe area with free fresh fruit, free fresh coffee and free biscuits. The kitchen area contains a large fridge, microwaves, toaster and a sandwich press that are free to be used by our students if they wish to bring their own food for the time they are with us. We have vending machines located in our Ferntree Gully Road facility featuring a selection of drinks and snacks. The drinks vending machine serves Coca Cola, energy drinks and coffee milk amongst others and can accept coins, card (pay pass) and notes ($5 or $10 notes only). We also have a snack machine serving a variety of chips and confectionery which is coin operated only. What time do the Forklift classes start? Generally our classes begin at 8.00am each day Monday through to Saturday. Some of our classes begin slightly earlier at 7.30am, you will be informed of your class start time via a booking confirmation and a confirmation SMS sent to you a few days prior to your class. Yes, once you have been booked in you will receive an e-mail with a workbook and other materials attached. The workbook should be completed prior to attending to ensure maximum time available for practical training. 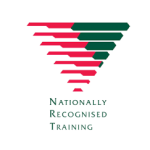 A hardcopy of the workbook and training materials can be provided on request and mailed out to you with sufficient notice. I have difficulties with language, literature or numeracy, can I still complete the course? Yes, we have a dedicated Student Welfare Officer that can assist you with your needs. We have successfully trained thousands of students including those with additional requirements. Give us a call on (03) 09756 0244 and ask to speak to one of our Training Consultants who will walk you through the options available. Our Forklift Training is conducted at our all three of our main facilities located at Ferntree Gully, Sunshine West and Carrum Downs. During your training course you will have access to our simulated warehouse and a range of forklifts including electric, gas, reach and counterbalance. During your training you will be taught how to operate a forklift including pre-start checks, maneuvering, loading pallets onto racking and many other exercises tailored to your ability.